As Apple’s competitors get ready to launch their foldable smartphones, the dream of the Cupertino-based tech giant to launch a foldable iPhone is still alive and kicking readily thanks to the latest patent details. However, it might still be a while before we see one in action from the company. Perhaps they could figure out how to get rid of the notches from their future iPhones till then. According to the patent filed with the USPTO titled ‘electronic devices with flexible displays’, the foldable iPhone could take up the entire side of the smartphone and not feature a line in the middle, which is the complete opposite to what the ZTE Axon M was all about. This could mean that the Apple will not be looking to release a device that folds like a book, but could be looking to launch something more advanced. However, to achieve that, Apple will need to procure foldable components, ranging from the logic board and battery capacity, for starters. Fortunately, Samsung’s upcoming foldable device is reportedly going to feature flexible batteries made by the Korean giant’s battery manufacturing division, SDI, so Apple could tap Samsung for these. Furthermore, the rumored foldable iPhone is expected to see a 2020 launch, and we reported that it too would be touting such cells inside its premium house. Coming back to the patent, this concept relies on using multiple flexible elements in the middle of the device. 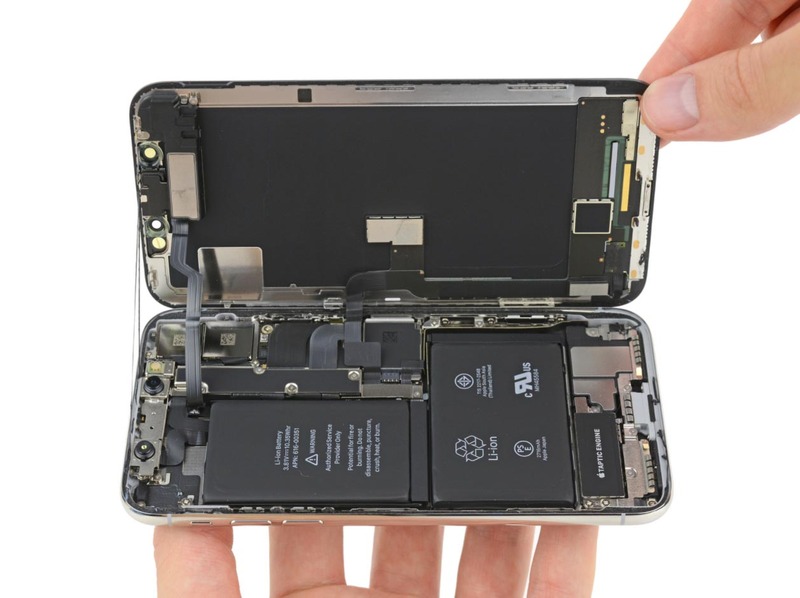 When flexing, the device would be causing an issue for the display layer and to eradicate this nuisance, the patent suggests the use of recesses in the material protecting the display layer in the mid-section of the device, which will end up putting less stress on the layers of the display. It is possible that the use of solid inflexible glass covers for sections of the display are used that are not going to be affected by the fold, with a flexible cover spanning the gap between the two solid sections. This is certainly turning out to be a complicated device, and it is possible that in the midst of all this, a low profile hinge might end up being used, with Apple attempting to obscure it as much as possible in order to give the illusion that the foldable iPhone is actually a single piece of hardware. Apple was also previously rumored to be working with LG to release this smartphone, with the manufacturer possibly providing the iPhone maker with the necessary number of panels for the assembly process to start. 2020 is a long way from now and we’ll definitely be updating you on the latest on where this progress is headed.